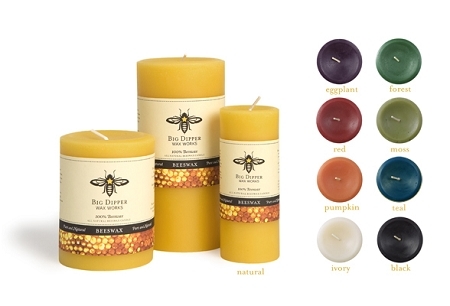 Our 100% beeswax pillars are long-burning and are individually hand-poured in small batches. The aromatherapy pillars combine the highest quality, carefully blended essential oils with the same naturally filtered beeswax. All-natural, and free of paraffin and other toxins, these pillars burn clean and soot free, with a steady, healthy sized flame that radiates a spectrum of light that matches that of the sun. As always, our wicks are made from 100% cotton and contain no lead or metal.